Comedy has experienced an uncomfortable renaissance in the Trump era, what with most comics finding their own hard-nosed take on the President’s double-speak. Yet, few comics have gotten the welcoming reception in 2017 experienced by The Comeback Kid, John Mulaney. Before year's end, he’s touring Philadelphia, Las Vegas and Seattle with a new stand-up special, Kid Gorgeous, and his usual mix of oddball abstract humor and explosive realism. After making his bones as a writer for NBC’s Saturday Night Live and IFC’s Documentary Now! mockumentary series, Mulaney crafted a stand-up persona rooted in both absurd, Dadaist non sequitur (the meat of his “Oh, Hello” showcase with Nick Kroll), and stoicism. Not all has been smooth sailing for the comedian as he famously watched his semi-autobiographical sitcom Mulaney cancelled first by NBC, then picked and cancelled again by FOX TV. That’s when Mulaney returned to stand-up with his Comeback Kid tour, his recently released live album of the same name, and his successful stint on Broadway with his pal Kroll for a play-length take on their skit, “Oh, Hello,” which can be found on Netflix. 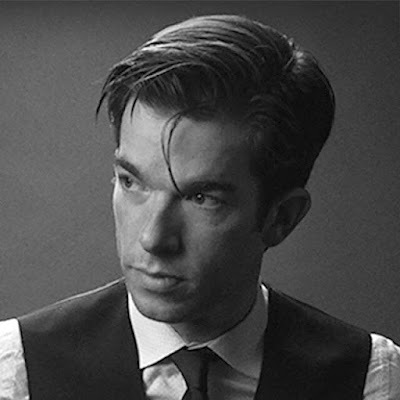 With his dry delivery and practice of keeping a straight face, Mulaney’s comedy quietly lays it out at a time when many of us feel like screaming.